Are we underestimating Google+? It certainly seems so because the people around me are still in the Facebook haze. We do so at our peril because feature for feature, I firmly believe that Google+ is a foot ahead of Facebook. Lately, I have been re-discovering the social network which is gradually becoming the center of operations for Google. If you are starting out, how about some quick Google+ tips New To Google+? Quick Tips You Need to Know New To Google+? 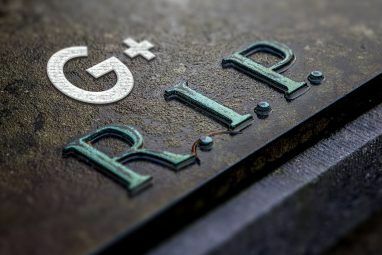 Quick Tips You Need to Know Google+ was never quite the Facebook killer it was hyped up to be, but it’s been growing steadily ever since it’s been introduced and now has over 100 million active users. Whether you’re just getting... Read More …or maybe you can download Get Into Google+: A Guide for Everyone, our free, in-depth guide to Google+. You just might find the present look to be totally different because Google+ got a bit of nip and tuck with a slew of new features. Facebook has become a chaotic mess for me personally. The relative freshness of Google+ and how closely I can tie it in with Google Search and Gmail is making me turn to it for some productivity perks. Google+ Hangouts How To Use Google+ Hangouts To Meet With Friends How To Use Google+ Hangouts To Meet With Friends Google Hangouts is a key feature of Google+. If you are not using Hangouts already, you are missing out! Maybe you haven't yet joined Google+. 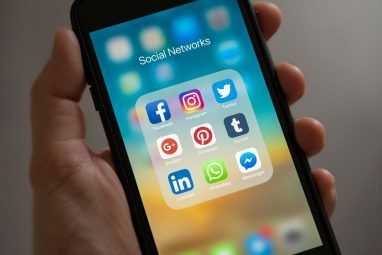 Well, if you do have a Google account, then joining... Read More may be the standout feature here, but the organizational backbone lies with Google+ Circles. The Circles have got a bit of color now, but the tips Tina put forth in her post on 7 Must-Know Tips About Managing Your Google+ Circles 7 Must-Know Tips About Managing Your Google+ Circles 7 Must-Know Tips About Managing Your Google+ Circles Google Plus isn't dead. In fact, it's been growing. Some people even think Google Plus will prevail big time in 2013 and they have solid arguments. This should make those happy who are already using... Read More still hold true. Google+ Circles are just that – a circle of friends organized around the way you want to share with them. Think of them as special and specific “drop zones” for stuff. The great thing about Circles is that you can use them in a variety of flexible ways. Another post from Tina showed you some all-purpose uses of Google+ Circles 5 New Ways in Which You Didn't Use Google Circles Before 5 New Ways in Which You Didn't Use Google Circles Before Google Plus Circles allow you to organize your contacts and the people you follow into groups.This article provides some ideas on how you could organize your Circles. Keep in mind that neither people you are... Read More . But the common thread is that you are sharing your activities with groups of people. What if you want to keep the Circles to yourself and use it for your personal productivity? The ideas for using Google+ Circles for personal productivity aren’t new by any means. Many people have dropped tips as to how they use Circles in offbeat ways. Thanks to them, I am amalgamating some of the tips here. Thanks to a commentator (Dave) on the last linked post. An empty Google+ Circle can be used to bookmark and archive read worthy links and web pages you might come across. 1. Create an empty article and give it a descriptive name. 2. Click on the Share button and select your specially created empty Circle. The favorite link or webpage is shared privately with this circle. 3. To retrieve and read your bookmarked pages, go to the Home tab and select the circle. The stream of “shared” posts is displayed. You can create specific empty circles for specific saving needs. For instance, I have created one for all eye-catching photographs I find on the web and in my Google+ stream. It serves as a nice and easy stepping stone for learning photography through the works of others. An empty Circle can be used similarly to jot down notes and keep a personal journal of one’s thoughts (You can also use it as a scratchpad, as an exercise log, a recipe book etc.). What’s better is that you can attach photos, videos, and links to enrich your personal diary. Your entries are timestamped and unlike other journal services, you can be sure Google+ is going to last a lot longer. The new Google+ Pinterest styled card layout also makes for attractive reading. Remember: you can use simple markup to format your posts. One of the other advantages is that I can enter my thoughts while I am on the go from my mobile device. You can even add photos, an emoticon for your mood and check-in data to specify location. When it comes to photos, you can later selectively share them with other Circles. Also, as Arun Shroff explains, you can even use it to store voice memos. Yes, before you say it, let me put it out in front that you obviously cannot read your personal diary when offline. So, that’s one of the drawbacks. An empty Circle is fine to keep your thoughts private. But what’s more interesting is if you can share it with a few others and create a collaborative Circle. Small project teams can use Circles for collaborative interactions. Combining Circles with Google+ Hangouts helps with live interactions. As Google+ is open to everyone with an email ID, you can literally turn a Circle into an instant brainstorming session and enhance group productivity. Twitter is just 140 characters. 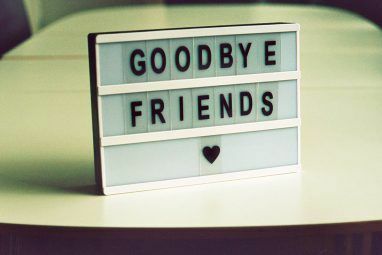 The words fall short when you want to say more. Google+ Circles allow you to segment your audience and address them directly. You can extend your shareable posts to blog like entries and share it with your special Circles. Travel blogging seems like a good idea with Google+ Circles. Sharing original content could help to build up relationships and an audience for your main blog. I follow motivational author Steve Pavlina (among others) and quite often his Google updates are well chalked out, rather than a one line missive. 1. Go to Evernote – Tools – Account Info. Copy your Evernote email ID. 2. In Google+, create an empty Circle. Give it a descriptive name (e.g. Evernote Notes) which you can remember while sharing from Google+. 3. Click “Add a new person” and paste your unique Evernote email address into the text field. A new Circle is created with “one” person represented by the Evernote email ID. Google+ Circles can be creatively stretched. From creating your own YouTube video playlists to storing photos for recalling something you want to buy, there can be multifarious uses. Remember a Circle can be thought of as an empty container. With imagination, you can fill it any way you want. What creative uses of Google+ Circles can you think of? Fire away in the comments. Thanks, Saikat, very useful ideas. Will start using them today. Amazon has @kindle.com (or @free.kindle.com) email addresses, too. Instead of using Evernote, I just direct the posts to the NOTE address that every gmail user has. Use the first part of your gmail address and then add +notes right after. For example: xyz+Notes@gmail.com, of your email is xyz@gmail.com. Automatically a Notes folder will be formed where these notes will end up. If not just use settings and create an instruction to filter your mail to this note folder. Posting through g+ to FACEBOOK private address has failed miserably - the images and sometimes even the links go missing! With the new improved Pinterst, it will be a breeze now to create a well tagged cookbook in g+ Pinterest just added the capability to add a recipe to your food fotos! Without any data size limitation I may just switch from Evernote Food to Pinterest & g+ for my recipe indexing. I enjoy documenting most of my experiences - reviewing hotels, restau & travel destinations in the process. I am gonna begin using voice memo suggested here. Incredible that I overlooked such a wonderful feature. While offline I can hang on to my smartphone recording capabilities! Nice article and i like the idea of saving Google+ content automatically into Evernote. Never knew this was possible before reading it now.